Sigma has released a trio of its high-end 'Art' lenses: two primes and one zoom. All three are designed for full-frame Canon, Nikon and Sigma bodies. 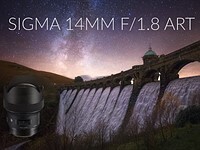 The first is the ultra-wide 14mm F1.8 DG HSM, which Sigma claims is the 'world's first and only F1.8 ultra-wide-angle lens.' The lens has 16 elements, three of which are FLD (low dispersion) and four are SLD (super-low-dispersion). 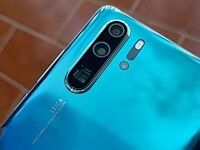 It also has a large (80mm) aspherical front element to reduce distortion and 'deliver outstanding image quality from the center to the edges.' The 14mm F1.8 has 9 rounded aperture blades, a minimum focus distance of 27cm/11in and a ring-type ultrasonic (HSM) focus motor. Next up is the Sigma 24-70mm F2.8 DG OS HSM Art. This lens features three SLD and four aspherical, nine rounded aperture blades and optical image stabilization. The lens is weather-sealed and made of a combination of metal and 'thermally stable composite' material. The minimum focus distance of the 24-70 is 37cm/14.5in and it uses 82mm filters. SIGMA 14mm F1.8 DG HSM | Art combines the extremely deep depth of field that comes from an ultra-wide angle of view with the extremely shallow depth of field that comes from F1.8 brightness. The result is a sharply captured subject set against a vast background dramatically blurred with a beautiful bokeh effect. It is a highly impressive mode of photographic expression that until now simply has not existed. Three FLD (“F” Low Dispersion) glass elements and four SLD (Super Low Dispersion) glass elements help minimize transverse chromatic aberration, which tends to be noticeable in shots taken with ultra-wide-angle lenses. 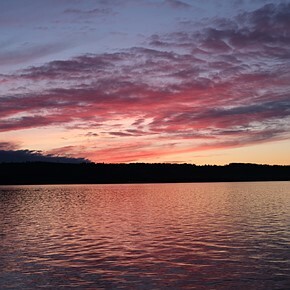 The result is outstanding image quality from the center of the image to the edges. The SIGMA 12-24mmF4 DG HSM | Art was the first SIGMA lens to feature a large ⌀80mm aspherical lens element. Building on the expertise derived from this success, the new lens features a large ⌀80mm precision-molded glass aspherical lens as its front element. This technology has made possible the 14mm F1.8 specification—the first of its kind. Serving as the front lens element, the large ⌀80mm precision-molded glass aspherical lens effectively minimizes distortion. Offering excellent peripheral brightness, this lens delivers outstanding image quality from the center to the edges. Three SLD (Special Low Dispersion) glass lens elements and four aspherical lens elements help minimize optical aberrations. To ensure outstanding image quality from the center to the edges of the photograph, the optical system minimizes coma, which causes points of light to streak, and transverse chromatic aberration, which cannot be corrected via aperture control, The optical system also minimizes distortion, which can be particularly evident in wide-angle shots, resulting in excellent optical performance throughout the zoom range. SIGMA has continuously pioneered 24-70mm F2.8 lenses that are a step ahead of the times. The first model of this specification, SIGMA 24-70mm F2.8 EX DG ASPHERICAL DF, launched in 2001. 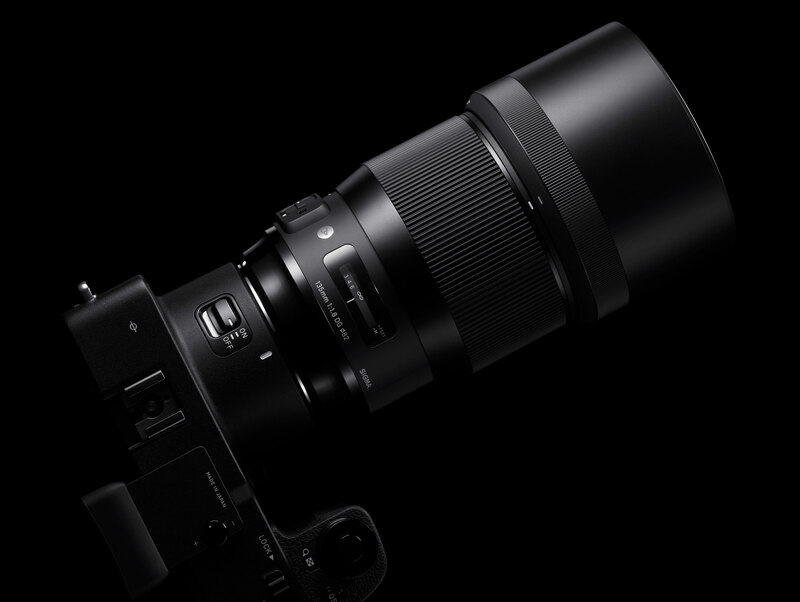 Representing the fourth generation of the family, the new SIGMA 24-70mm F2.8 DG OS HSM | Art accomplishes a challenging feat in optical design: incorporating optical stabilizer functionality in a large-diameter standard zoom. 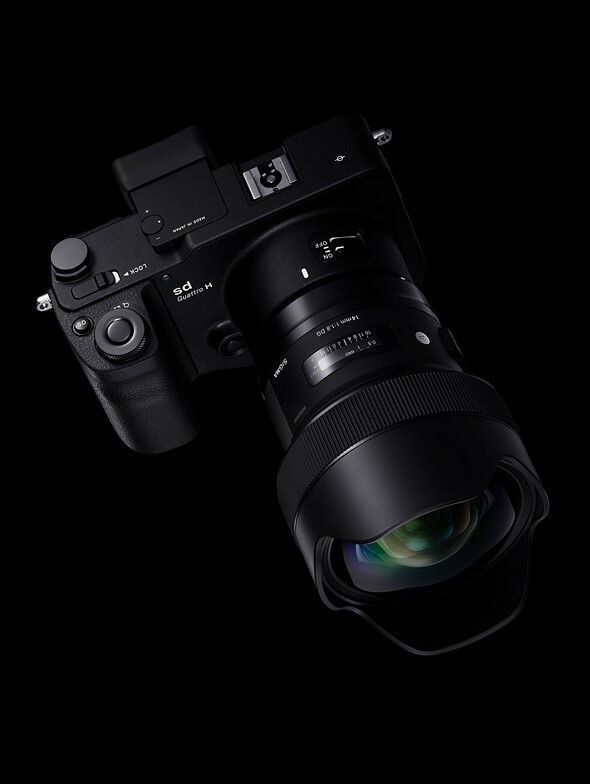 By leveraging all of its design and manufacturing expertise, SIGMA has ensured that this new lens fulfills the uncompromising requirements of the Art line for image and build quality. Aspherical lenses necessitate refined expertise in the design and manufacturing of advanced, high-performance lenses. SIGMA’s first products to feature this technology were the SIGMA 12-24mm F4 DG HSM | Art and SIGMA 14mm F1.8 DG HSM | Art, which both incorporated a large ⌀80mm aspherical lens as their front lens element. Building on the success of these predecessors, the SIGMA 24-70mm F2.8 DG HSM | Art incorporates an aspherical lens element that helps achieve extremely high resolution. This element is much thicker at the center than the edges, and forming its unusual shape is a feat of manufacturing technology. Moreover, SIGMA processes the surface of this aspherical lens element with ultra-precise tolerances that are measured in hundredths of a micrometer. This extremely fine surface allows the SIGMA 24-70mm F2.8 DG HSM | Art to deliver a very natural and smooth bokeh effect, without the visible concentric rings that afflict typical aspherical lens elements. Designed for advanced utility in a wide variety of situations, the optical stabilizer (OS) offers a powerful stabilization effect. The newly designed large hypersonic motor (HSM) offers 1.3 times the torque of its predecessor and exceptionally stable performance even at lower speeds. * Based on CIPA's guideline. Measuring at telephoto end, when it is attached to the camera with 35mm image sensor. Since large-diameter standard zoom lenses tend to serve as a go-to lens and see frequent use, the SIGMA 24-70mm F2.8 DG HSM | Art is designed to stand up to the challenging shooting environments that pros encounter. To this end, the lens barrel contains a large amount of metal, while the external moving parts feature thermally stable composite (TSC), which is resistant to thermal expansion and contraction. This structure contributes not only to the outstanding optical performance of the lens but also to its high rigidity and confidence-inspiring build quality. This is going to be an exciting year for all of us thanks to Sigma and Tamron's challenge to the established main stream lens manufacturers. If my memory is correct, Nikon had acquired the patent for their 135 f1.8 a few years ago so it's about time Nikon released their new 135 f1.8 or even upgrade their 85 f1.4 and f1.8 versions. My concern is their pricing as compared to that of Sigma. Currently, a brand new 135 F2 DC @ B&H costs $1391 and for a 105 F2 DC $ 1196. Since Nikon priced their new 105 f1.4 E @ $2196, I would say that Nikon 135 f1.8 will be @ around $ 2400. I hope it will be less than $2000 since it's an f1.8 lens but probably not. If Sigma priced their 135 f1.8 @ around $1500, and if it's significantly inexpensive than the Nikon, I would take the Sigma. I already jumped from Nikon 85 f1.8 G to Tamron f1.8 VC and I'm glad I did. I picked Tamron 15-30 VC over Nikon 14-24 f2.8 and I never looked back. I'm looking forward to the reviews of Sigma 135 f1.8. I wonder if I can find a shop to try the camera body they used to display the lenses on. Finally, my prayers have been answered… sort of. I wish more manufacturers were interested in making compact (for the focal length), lower specced, and (hopefully) optically high quality lenses. Why the push for extreme aperture lenses when high ISOs are getting so good? The Nikon 105 f1.4, for example, just seems silly when there is no current compact 100-105mm in the lineup. I like my 1.8 G primes and want more. I completely agree with you. Extreme apertures seems versatile for aps-c cameras , like Fuji 56 1.2. I didn't wait for Nikon's F1.8 line to refresh. Until I have trouble distinguishing an ISO6400 shot from ISO64 on an D810 caliber camera, I'll continue to be excited by fast lenses. No DoF scale on the 14? Jeez Sigma! There is one. It is in a window just like the rest of the Art lineup. The MTF of the 24-70 sadly seems to be a sign of bad corners and -2EV vignetting. I guess those were intentionally build for their own APS-C/APS-H sensors. Fullframe will be covered but not as I expected. Still waiting for the reviews, hoping that I'm wrong. How much vignetting is found in comparable lenses? I fully understand what you mean but if they *are* like comparable lenses there is no need for them, somehow. ;) Or at least I was hoping for the technology to get better... Maybe I'm just too curious to wait for the reviews. Sigma, please please make some effort in quality consistency! especially, fix the off-focusing ones before send them to customers! I was expecting a 135/F2.0, but they now they made it really irresistible with an F1.8. 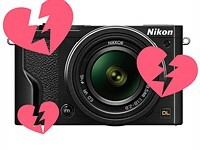 No wonder people believe Nikon is dying. Are new Nikons available in pink..? I'm sure they will be superb ... but I'm a little bummed ... with all the rumors about it, I was hoping for an upgraded 70-200MM 2.8 Sport. I think it's the longest-rumored lens that hasn't found its way to market yet. Darned if I'm paying $2800 for the new Nikon version... maybe next announcement. 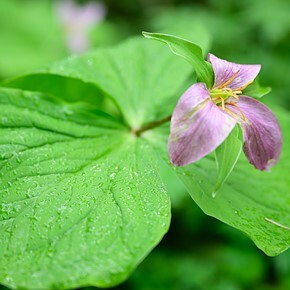 Why not TAMRON 70-200 G2 ? Sigma has been producing great lenses for a while now that it won't surprise me at all if these all turn out excellent. What will surprise me is if one of these were duds. The 14mm and 135mm both are very attractive to me (depending on price, which I expect/hope to be reasonable). Same! I already have all of their other ART primes and honestly it is the best choice that I have ever made! 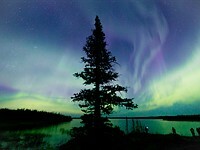 Looking forward to the 14mm for Astrophotography and for doing cool night photography at weddings! The 135mm is going to be insane too! Wow, this is quite the luxurious spread of new Art lenses. Can't wait to see the prices. However, Sigma could produce as well great "less extreme" lens. Maybe a small 18mm f4.. I'm looking for a 400 or 500 f5.6 prime depending on price or I'll get the Nikon 300f4 P.
Wow, Sigma as independent lens maker releases 4 DSLR lenses on a single day. That is as much as the total line-up of Sigma DN lenses for mirrorless cameras if I counted right. I may be wrong, but it seems as if Sigma market researchers do not see as much potential in the mirrorless market as in the DSLR market in the near future. Or does anybody have another explanation. Yes, they will be announcing their e-mount lenses separately. The lenses need to be made differently - they're not these lenses with a tube on the end. I don't know what you mean. Their Global Vision Line DSLR lenses are designed all new too as far as I know. Nonetheless they are releasing one new DSLR lens after the other whereas their Global Vision lens line up for mirrorless cameras (DN Line) is still very limited. P.S. Don't get me wrong. I wish for more Sigma DN lenses. Furthermore I wish Sigma would offer lenses with EF-M mount. 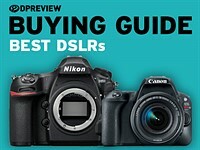 Still, there are three times as many DSLR cameras sold as mirrorless cameras. 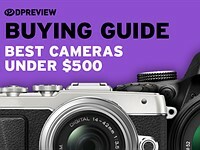 Add to that the fact that all those DSLR cameras are mostly shared between two mounts, Nikon F and Canon EF and two sensor sizes, while the much smaller Mirrorless market is divided between three sensor sizes and m4/3, Fuji X-mount, Sony E, Canon M plus a couple of Leica mounts. The fact that there are already tens of millions of DSLR cameras in active use probably counts also. They plan to release on sony FE , that area is still unknown for them "terra incognita", they still learning the possibilities. Whereas they are on the roll on DSLR market as they are NATIVELY on that segment of market. Their design strategy lately has been to produce large, fast, high quality lenses. Mirrorless users tend to prefer smaller lighter lenses. Or at least, that's the perception. I don't run the company, but typically, when you have something that is working for you, you stick with it and build your identity around it. Their identity right now is built around lenses like the 35 and 50 f1.4 Art lenses. Both of which are the opposite of the mirrorless travel light philosophy. E mount is really not long term if Sony's market share does not improve. I'm afraid you don't really know what you're talking about. E-mount is a cinema mount as well as a camera mount. Sigma already makes full frame lenses in e-mount in their cine line. There is no question of e-mount becoming an unattractive proposition for lens makers. The number of separate companies producing lenses for e-mount already exceeds the number producing for Nikon and Canon by a large margin. 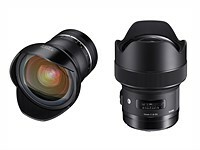 Sigma has already announced that it will be introducing FF e-mount lenses for stills cameras and I would expect them to be premium lenses to compete with the Zeiss Batis line. 95mm diameter for the 135mm. No weight given for the 24-70 with its 82mm diameter therefore expect something like 1.8kg. I don't know. The dimensions are pretty similar to the ones of the Canon original. Thats stupid. You cant just compare diameters and use that as a base to judge the weight. The Canon 70-200 has the same diameter as the 24-105 and its far away from havin the same weight. What is a Art lens? The explanations above are my take. You might check the Sigma Homepage in this. That's why I don't shoot Nikon. Zoom ring at the *front* of the 24-70/2.8? Rotary extending zoom?? Dust pumper. Fail. Are you trolling? The canon 24-70 also extends and is not a Dust pumper. The Nikon 24-70 also extends whilst it zooms, the extension is just hidden behind the huge lens hood. The 135mm f/1.8 @1,130 grams but with weather sealing, worth the weight for reviews. As someone who loves to take good pictures for family and for fun, the last things I want are big, heavy, and expensive gears, such as these. 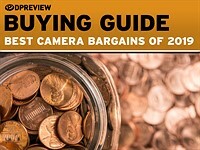 The FF systems offer much better profit margins, but smaller sensor cameras are what the masses use. How about a light, inexpensive 16 (or 14) mm f2.8 prime lens for the APSC format that is good enough for 90% of the users? They do have small very inexpensive 19, 30, and 60mm 2.8 primes for e mount and micro 4/3. Apparently they are all great lenses. but no *wide angle* APSC primes. 19mm is about 30 mm FF eq. Yeah, I'm surprised they haven't come out with a 14mm lens. They do have the dp0 with a fixed 14mm f4. 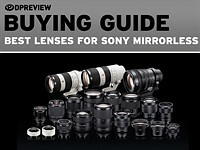 Sony, Panasonic, Olympus and Fujifilm all make native wide angle lenses for their system. Honestly they would make hardly any money compared to how much they can make with classic staple DSLR lenses in Canikon mounts. I hope you dont run a business. It would be like wanting McDonalds to start selling bread like a bakery. Such a niche market, theyll lose money. Well so, go and use small cameras. What is the usecase for 2.8 primes Ehen you can get affordable 2.8 zooms with good image quality. Lol. Ya, that 105 1.4 Nikon just released is a slacker. 20 1.8, 19mm f/4 T/S, 200-500 5.6, 105 1.4 are all gems. i just so wish Sigma would make FE mounts and stop messing about with the MC11. Exactly. Sony has only one mirrorless mount and that is called E-mount. But anyway, Sigma has already inducated that they are working on E-mount lenses that cover full frame. How Good is Sigma’s MC-11 Smart Adapter? Or were you perhaps thinking of Canon? 3-Customers mostly prefere Sony mirrorless cameras, for their good AF tracking ability over other mirrorless cameras (especially while recording video). 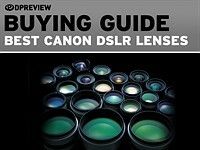 Buying a first class lens, and using %70-80 of it, sounds weird to me. Mirrorless lenses can be smaller without an adapter. Look at how small Samyang 12mm f2.0 and 35mm f1.2 lenses. If 35mm 1.2 was AF I wouldn't think a second. The MC-11 is not bad. Have tried it with a few lenses and for the photos i take using it works sufficiently for me. If i need speed, i just use my DSLR. Canon will eventually release a full frame mirrorless. Canon mount lenses will give you options. E mount lenses you are stuck with one manufacturer. How big is the Sony G lens? Similar to the Sigma with MC-11 attached. No size saving there. Only thing is hopefully Sigma have worked the firmware so these lenses have full compatibility with sony bodies. So many pedants! Clearly what the OP means is that he wishes Sigma would make lenses that are natively and fully compatible with the a7 family. Sorry you all knew what I meant, FE lens on e mount was my angle....I look forward to their native sony lens then, I always feel I'm missing something when I use my metabones and will always thrive to go fully native at some point, and I wish sigma was in that pot too. It is pretty obvious, Sony didn't aim smallest possible lenses with G master series. This doesn't mean it is impossible to produce really small lenses. 85mm 1.4 G master lens is even bigger than Nikon counterpart. But mirrorless only compatible lenses show that, they can be smaller. i.e: Fujifilm lenses, some of Samyang lenses. 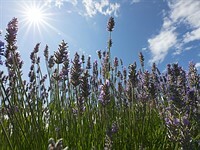 you do realize that there is a difference in crop versus full frame? A smaller image circle takes up less room and can be designed smaller. Most people prefer optical quality versus size. How many mediocre zooms does Sony have already? I actually wrote it in parenthesis, but then I thought u would guess that and I deleted. Of course full frame lenses will be bigger. But still full-frame mirrorless lenses can be designed smaller. I agree with you about some people's preferences. And Sony has many mediocre lenses on its FE line up. Not only zooms even some of those prime lenses too. But those people who don't mind about the size that much will not bother themselves with MC-11 adapter. Most of them will just go with a DSLR. 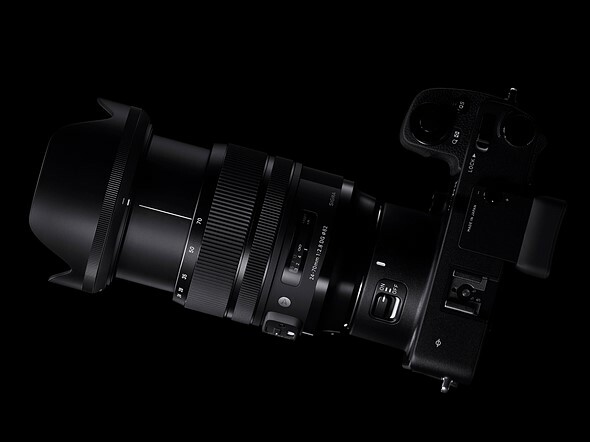 Sigma already makes numerous lenses for Sony e-mount. No adapter is required with these. it would be nice if they also make a E-mount so Sony user don't have to mess with adapter, However, I will still buy Canon EF mount version Sigma as I still shoot Canon and Nikon as my main system so it's makes more sense for me to buy EF mount and just use adapter occasionally when I shoot with my Sony body. "Who run the world? Sigma"
For once, I find the size of these lenses quite reasonable. Sigma's 135 is 115mm in length compared to 112mm for the Canon 135L. Sigma's 24-70 OS Art is 108mm in length compared to 113mm for the Canon 24-70 f2.8 L II and 154mm (!) for Nikon's 24-70 f2.8 VR. Let's hope for a decent AF accuracy now. I wouldn't be surprised to see Sony reply with an E-mount 135 f1.8 G Master. Dimensions are similar, but the Art 135 comes in at 1130 g, versus the Canon 135L at 750g, which is quite a lot. But then, that's 1/3 stop less light for 1/3 less weight. The 14mm is 1170g or 2.5 pounds! It's interesting that specs on the zoom lens don't include weight. Must be a brick. I hate to criticize since I use the Sigma 85mm and it's a nice size. Good news though, more choice is good. The Canon 135L is old, and the new one announced might easily be 1kg or more. Compare the new Canon 35 f/1.4L II to the old one. The new one is 760g, which is the largest and heaviest of any AFAIK. 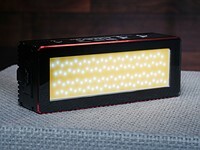 Can't wait to see what the reviews / sample images are for the 24-70... I'll be in the market for one real soon. BTW, rumor I heard from the local shop is "summer time"... hopefully this one is optically better (sharper) than the current model. 95% sure I will be buying this lens, barring a huge flaw. 95% sure I would buy the 70-200 they will no doubt one day come out with as well.
" The minimum focus distance of the 24-70 is 37cm/1.5in and it uses 82mm filters." 37cm is closer to 14.6in. , not 1.5in. Looks like someone the decimal. Also your word!! Where are our going?!? Remember that the close focusing distance is from the film/sensor plane, not from the front of the lens, so 14.5 inches ain't bad. A 1.5" close focus would put your subject somewhere inside the lens, near the back, except with a "body cap" pancake lens or pinhole on an SLR. I know right? Just when thought I would skip the 85 art and get the 105 1.4, Sigma does this. Choices, choices. At least I have time to think about it as I save up. I already have the 24-35 which is a great lens. It is also huge. There is some value in having smaller lenses stopped down, but understand there is a certain amount of specmanship required to bring others into the fold. Size does matter, even for those landscapers who don't want to bring a field camera with them on every trip. I will look at these lenses, but will be very cautious about the size so they don't get left on the shelf due to size. i agree good point. using the k1 is already a kilo, saturday i cover a carnival and could use the k1 with a small pancake and in the other hand a complete good 360 with soft box and battery mount....add a 1 kilo lens instead of a pancake and you would needed an assistant. Sigma is a doing a great job. They are making some of the best lenses around. They even designed one of the best M43 lenses, the 75mm F/1.8. Sadly, in their minds Sony doesn't make DSLR/SLTs anymore. It boggles my mind to see FF shooters constantly asking about weight on these large-aperture lenses. It's FF and large aperture and (hopefully) high quality...so just do the math. Believe it or not, other sensor sizes exist to specifically address your concerns. jl_smith, noobs but they will soon get used to the idea. Especially 36MP and above shooters. "Last, but certainly not least, is the 135mm F1.8 DG HSM telephoto prime. Sigma says that this lens 'offers the [...] resolution required for 50MP or higher ultra-high-megapixel DSLRs"
Does this mean the other lenses don't? Yep, tripped up by their own hyperbole. That wouldn't be wrong, for AF lenses. Neither the Nikkor or Canon are sharp enough for that high resolution. The Zeiss might though, and possibly the Samyang. Still, working with those lenses wide open is extremely challenging. An unstabilized 135mm. Just what the doctor ordered. Just put it on a stabilized body... Oh wait! I shot with a 135mm lens on film 35mm for years and years. Lots of very nice crisp shots. Any photographer with good technical skills knows how to use an unstabilized lens. We all got lots of sharp photos without stabilized lenses. The difference is that with stabilized lenses you get more sharp shots. A lot of those "sharp" shots I got with my 135 in 1968 wouldn't be sharp on a 42mp sensor, now. A. 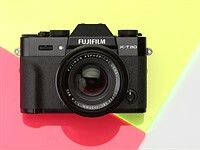 1.15 KG, F1.8, 1300 USD. B. 1.15 KG, F2.4, IS, 1300 USD. 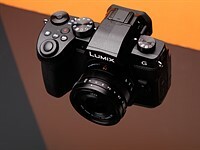 C. 1.30 KG, F1.8, IS, 1800 USD. I would pick A. So did Sigma. I have that IBIS on my A7R II, but I have been shooting 135L and Zeiss 135 AP on my Canon body without any issue. won't hurt to have it but I wouldn't concern about it at all. [135mm] "...while an acceleration sensor detects the orientation of the lens so the AF system can respond to varying loads on the focusing group due to gravity." "Sigma discovered the heavy/complex AF system didn't work properly when in certain orientations, so had to introduce further complexity just to make sure it kept going. Later, Sigma marketing experts decided to call this a 'feature'." nvm, let me have them all please. It will be interesting to see how this F1.8 lens stacks up to the Nikon 14-24/2.8 at max. aperture for sharpness on the edges. In W/A astrophotography, one needs to find a lens that can work at max. aperture that gives acceptable to excellent stellar images in the corners. Same goes for the Irix 11/4. Are you seriously comparing f/1.8 to f/2.8? This is my thought. The Sigma 20 1.4 and 24 1.4 have coma-rific corners that make them nearly unusable for astrophotography, so I'm unable to be more than cautiously hopeful for the Sigma 14. I currently shoot a Nikon 14-24 adapted onto Canon, but will replace it with this Sigma 14 if the corners are better and there's lower vignetting--not that the Nikon is a slacker at all in those regards. The 20mm Art is perfectly usable for night sky shooting if you know how to focus. If you shoot auroras, f/1.4 is usable. You can shoot stars at f/2 with minor coma. If you want better corners for print or full resolution use on large screens, it only takes a few minutes of photoshop clicking to hide it. Regardless of lens, for serious astro you use a motorised mount and f/4 - 5.6 anyway. Sigma is killing it with some of the best and sharpest art series. These three are just another reason they will be on top for awhile. 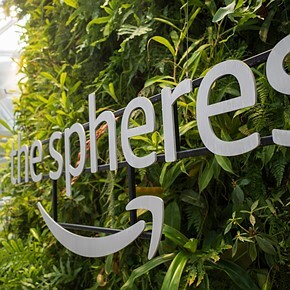 Companies like this are always good for the market because they force competition to innovate. Nice! Question now.... how much does the 24-70 weigh? It's so heavy that they don't want you to know until you buy it. It looks smaller to me than the Canon and Nikon 24-70's but yeah, weight would be very useful to compare. Hmm... 135mm F1.8 w/AF motor. I'm guessing $1,499 USD on the low end since Sony's Carl Zeiss Sonnar 135mm F1.8 is $1,699. Canon's 135mm USM is only $1k, but that's an F2 lens. I image an F1.8 aperture at 135mm is going to be a very desirable product. Well those are the highest quality zooms out there I guess you are always gonna stick with the Sony Vario-Tessar T* E 16-70mm f/4 ZA OSS Lens cuz thats the closest to what you want. Sigma produces good lenses, but I wonder about the AF performance, especially with the longer FLs. I have to use extreme AF adjustments with their 17-50mm on the D7000. Also, I don't like the flare rings that they produce, tend to be greenish and ugly, unlike the classical golden rings of Nikon and Pentax lenses (have never used Canon lenses). Have you used any of the ART series lenses? Well, may be it's time to let go of my samyang 14mm 2.8... all comes down to price now. I am a owner of Samyang 14 and Nikon 14-24 F2.8, like them both, I will most likely buy this Sigma 14 1.8, F1.8 is really big deal for Astro, as for price, I will pay up to $2K USD for it, well, that's how much the Canon 14mm F2.8 costs and it's not even a half decent lens. believe or not, I am much happier with the the Samyang than the 14L. and I don't care for the AF part, I shoot manual focus only when it comes to landscape and astro. Yea. Canon 14mm F2.8 is pretty bad compare to Samyang. I once walked a full day of Tokyo with Samyang, it was a lot of fun shooting with manual lens. Doesn't bother me at all if the new Art doesn't hit 10/10 mark in AF department, it's an ultra wide angle after all. Is it one of those "If you have to ask..." situations? Sigma lens is normally pretty cheap when compare to the Canon/Nikon equivalent, well, except for the 50 1.4, but the Sigma 50 1.4 is so much better than the Canon and Nikon 50 1.4 so still cheaper in my opinion for you are getting from that Sigma lens, so I don't expect any difference with these newrelease, for example I can't imagine this Sigma 14 1.8 will cost any more expensive than the much slower and not even half decent Canon 14 F2.8L which is $2100. And the 135 1.8 probably no more than $1500-1600 USD. 2017 has been a pretty good year for lenses, but the one that had the biggest impact for editor Dale Baskin was the Sigma 14mm F1.8 prime, a lens that lets him capture big sky and magic light. Between now and the end of the year we'll be counting down our top 10 most popular sample galleries of 2017. Coming in at #10 is a fast wide prime and part of the highly-acclaimed Sigma Art series.